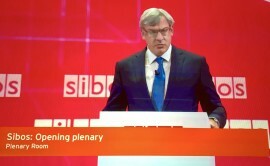 Setting the conference tone, Dave McKay, president and CEO, Royal Bank of Canada (RBC), stated: “The future success for most businesses relies on data”. The companies’ abilities to collect, analyse, derive value and apply it meaningfully is paramount, he emphasised. “As a CEO, I am having conversations about data that would have been dismissed as science fiction just a few years back,” McKay said. The “incredible advancements” in technology opened up great possibilities to the banking world in general and RBC in particular. The bank is working on a number of data-related projects that involve machine learning and artificial intelligence (AI) – a number of these are done as a co-development – “to help clients build next-generation solutions”. For instance, RBC has joined forces with Wave, a business financial management (BFM) solutions provider from Toronto, to integrate its invoicing, accounting, and business financial insights technology into RBC’s online banking platform. Wave’s financial software and services, which include free invoicing, accounting, payment processing and receipt scanning are helping small business owners “to spend more time being the CEO of their business and less time being the CFO”, according to the company. Another example is using predictive analytics “to unlock the new sources of value”. RBC is working with an Israeli fintech start-up, Personetics Cognitive Banking, to deliver two new services that provide AI-powered financial guidance and an automated savings programme through the bank’s mobile app. Based on predictive analysis of individual behaviour and spending patterns, Personetics says its solutions enable RBC to provide clients with personalised insight and advice for day-to-day money management. “For banks, the battleground will be data,” McKay told the Sibos delegates. The tech companies and social media platforms (GAFA et al) have created the “digital, socially connected world” and the financial services industry will have to adjust to the new reality. Strategic partnerships (and not just within the financial services industry but with other verticals too) and open APIs are the way to create the “platform effect” akin to that of social media, McKay believes. Hence, banks need to learn “to be comfortable with sharing data”. “There is already more collaboration between fintechs and banks that ever before,” he observed. The success, he believes, lies in working in small, agile teams, embracing diversity and inclusion, and shifting skills requirements “as the world changes”– this is RBC’s approach, he said. The new world order is putting the customer at the heard of any business activity, McKay emphasises. “The strategy now is to build from the customer in, not from the organisation out,” he explains. There is a need to do so quickly, efficiently and bring value. RBC is “experimenting” with blockchain/distributed ledger technology (DLT) for consumer, commercial and investment banking business lines, McKay said. 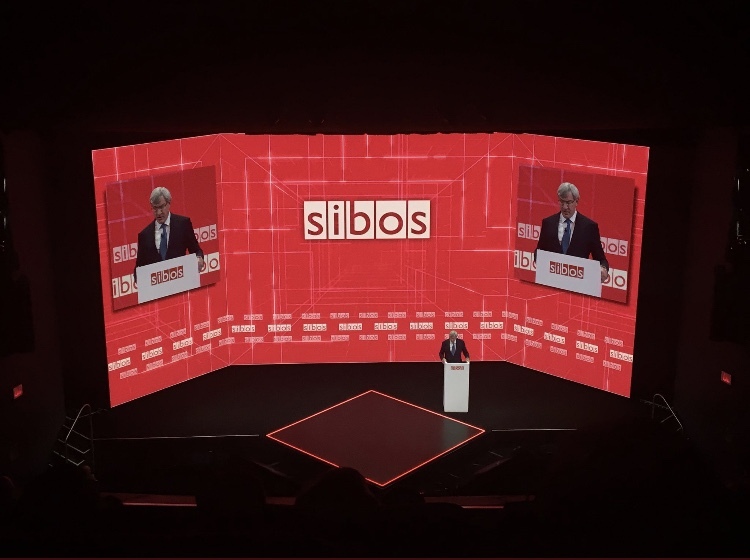 Projects include a collaborative proof of concept (PoC) with a group of other Canadian banks and tech provider CGI to establish “seamless interoperability” between CGI’s Trade360 trade finance platform and Skuchain’s blockchain-based Brackets platform for smart contracts. According to the project participants, this “first-ever PoC” enabled banks engaged in trade finance to integrate blockchain capabilities with existing trade finance platforms “potentially leading to added productivity, reduced costs and providing customers with a competitive advantage”. “The competitors landscape is fiercer and more varied that ever before,” McKay concluded. “But the opportunities are greater than ever before too.” Bankers, don’t let them pass you by! A sneak preview of a debut novel by Stephen Norman, long serving CIO/CTO of RBS Global Markets and previously Merrill Lynch. A fast-paced crime thriller – published on 9 November 2017. Major deal as Swiss start-up makes its debut outside of Switzerland.